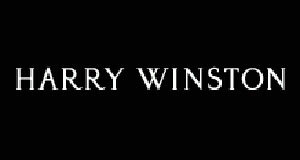 The legendary watch company Harry Winston has once shook the world with its watch creation – Opus. And now every year, all high watch making connoisseurs are eagerly waiting for the next watch premiere - a new Opus. New reinterpreted vision of Time - Opus 12 – has been created by the idea of Emmanuel Bouchet, who has created this unique watch in close cooperation with famous designer Augustine Nussbaum and the famous watch company Harry Winston. Opus 12 was proudly presented at the annual exhibition BaselWorld 2012. As all previous models, the new Opus 12 certainly intrigues all fans of the complex watch mechanics. The new Opus 12 (ref. 500/MMEB46WLK) goes beyond the conventional watch making, presenting itself a completely new and incredible in its embodiment the concept of the complex watch mechanics. This new time measurer offers a completely new view of time, a source of inspiration for the creation of which was the doctrine of the legendary scientist Copernicus, according to which the earth revolves around the sun and around its axis. The new Opus 12 shows the time is not familiar for us two or three hands, but with peripherally located 12 pairs of hands. They are aimed at the inner center of the dial, as if focusing all attention on the central time. Retrograde hand, which is synchronized with the main minute hand, gliding on 5 - minute scale, turns back to its original position after its way. Making one turn, 5 – minute hand stops. Equally fascinating and mystical to display a fleeting time, using a radial switching hands every 5 minutes as the Opus 12 is probably not capable of any one watch. At the expiration of each hour watch mechanism performs a complex rebuilding of indication in the form of a sequential rotation of numerous hands. Small second hand, which seemed to float, is located below the retrograde indicator on a transparent ring, and an indicator of power reserve. Even such a usual action of the winding system is represented by a rather unusual way. For watch winding it is necessary to rotate the crown in the opposite direction to energize both the spring of two drums, one of which supplies energy to mechanism, and another - a complex and amazing animation of dial. In order for the crown to be accessible, it has been placed in the center of the case band, requiring a transmission wheel that reverses the winding direction. Watch case with diameter of 46 mm is made of 18 - carat white gold with polished finish. Design and finishing of the Opus 12 is also beyond the conventional watch making. Master refused chamfering, widely used in traditional watch making. Shot - peening hardens the surfaces and brings a resolutely contemporary aesthetic of new Opus 12. Even watch back, covered with durable sapphire glass, presents spectacular performance by the patterns of Cotes de Genève. The styling remains faithful to the heritage of the House of Harry Winston. The emblematic arches recall the neoclassical vault which dominates the famous facade of the Harry Winston Salon in New York and the openwork hands, the Manhattan skyscrapers. Another feature of this Opus 12 is the absence of a traditional dial, which channels attention towards the indications and the animation and confers a mysterious character to this exceptional piece. The dial with its amazing animation is covered with durable sapphire crystal, which is extremely resistant to all kind scratches. The move of this unique watch is provided by complex and amazing movement. On the periphery of the dial on each of the 12 pallets is a long hand, which serves to indicate the time intervals of five minutes, as well as a short hand to indicate the current hour. The first revolves around its axis, and second, in turn commits a turnover around the first, passing it over, then under it. Each hand is controlled by the driving wheel. When the hand is not in motion, it has a neutral color, rotation, is is painted in blue. The hands are activated thanks to two crown wheels turning around the dial. Both of them have toothed sections that engage the driving wheels of the hands at each station. The outer crown, which drives the minute hand, revolves around the dial for an hour, moving from one pallet to another every five minutes. The first toothed sector concatenates the wheel of nearest pallet and expands the minute hand of the active side. At the time of the second toothed sector, in turn, comes from the coupling with the previous pallet minute hand, and it had already turned neutral colored side. Switching time - it is a real representation. The inner crown, which remains fixed throughout the whole hour, at the next hour onset, makes a rapid journey through the circle of the dial. Its toothed section drives the rotation of the hour hands in rapid succession. As you move the crown on the dial, the hour hand makes a revolution in 3600 and turns the side, painted in blue. This "show" lasts only a few seconds to as long as the crown will not pass all 12 pallets and stops running display of the next hour. The rotational speed is controlled by the escapement that needs less energy than a flywheel governor and which provides a captivating sound effect. In creation of Opus 12 it was necessary to solve the technical problem of providing the most efficient distribution of energy required for the implementation of the watch work and animation. Animation and watch mechanism is supplied by energy trough the separate drums. Winding drum for the animation runs by the differential, transmitting energy, which is needed to move bits from the mechanism given by the interval. Both barrels are wound simultaneously, and the springs take the same time 45 hours to unwind.When the energy is insufficient for the animation, it just stop the mechanism. Each spring has a trailing spiral, which protects it from accidental rupture during winding. Power reserve of two drums the two is displayed on the arc of a circle located in the center of the dial. The oscillation frequency of the balance of 18.000 pc / h and provides a small second hand movement in 1/5 second. This is an extremely complex unit has 27 hands and the corresponding transmission system. The outer crown, which controls 12 of 5 - minute hands, revolves around it. To implement such a complex problem the designers have developed an external transmission system connecting the winding stem, positioned at the base of the timepiece, to the crown, which had to be accessible halfway up the case side. Time installation is possible only in a direction of hand. The main functions of Opus 12 watch: hours and 1/12 of hour, displayed by the rotating double hands. Five-minute interval between each animation is displayed by the retrograde hand in the center of watch. Men’s watch Opus 12 comes with black strap, made of alligator skin and equipped with reliable folding clasp in white gold 750 with polished finish. Water resistant of the watch Opus 12 is up to 30 meters. For Russian fans of this amazing wrist watch - Opus 12 the company Harry Winston will release limited edition Opus 12 - only in 12 pieces. The number 12 has become a symbolic for the company Harry Winston. First, the first boutique of Harry Winston in Russia will be opened in Moscow in 2012, which opening marks by the release of this special series, watches of which will be exclusively in Moscow. Second, in 2012 Harry Winston and Mercury will celebrate their 12 - year co-operation. Third, it is a tribute to the 12th anniversary of remarkable project OPUS, which, undoubtedly, deserves the special attention.